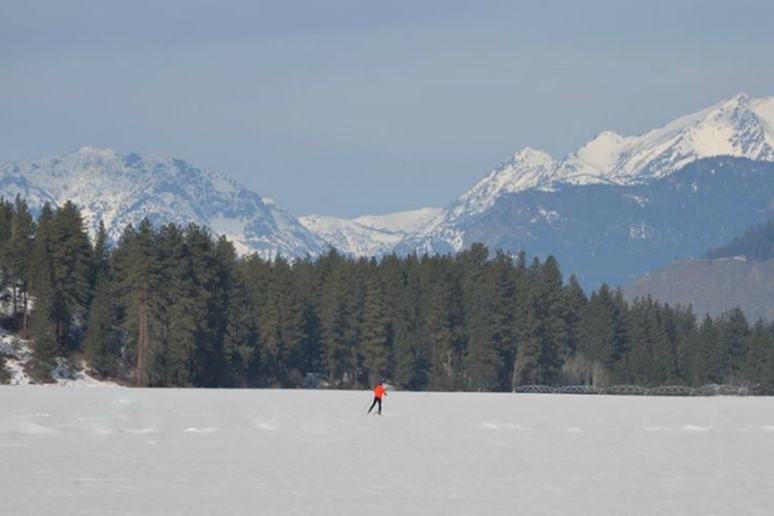 The Best Scenic Cross-Country Ski Spots in the U.S. from The 10 Best Scenic Cross-Country Ski Spots in the U.S. 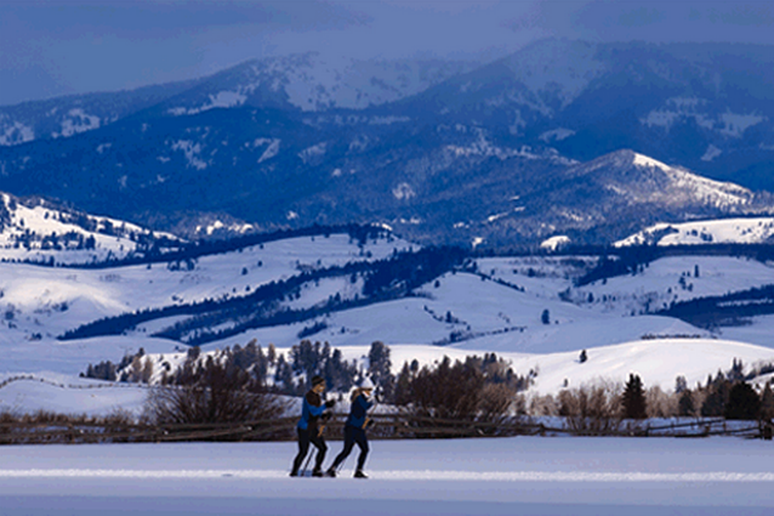 The 10 Best Scenic Cross-Country Ski Spots in the U.S. Though Royal Gorge is not currently open, the area features more than 120 miles of trails across 6,000 acres of unspoiled land. The trail system has something for everyone—beginners can take it easy checking out the Van Norden Meadow and experts can tackle the tough climbs to the Point Mariah lookout. The Best Scenic Cross-Country Ski Spots in the U.S.
Bretton Woods Nordic Center—Bretton Woods, N.H. 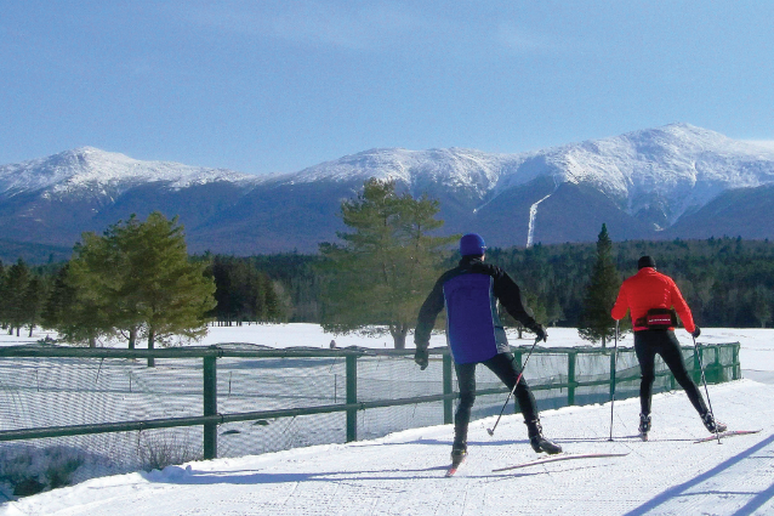 The Bretton Woods Nordic Center gives cross country skiers access to a trail system with 62 miles of snow-covered terrain. Set at the base of Mount Washington, the trails take you through the White Mountain National Forest, offering fantastic views of the mountains nearby. Lone Mountain Ranch—Gallatin Gateway, Mont. This award-winning Nordic ski resort has it all—more than 50 miles of groomed trails, lessons from PSIA-certified instructors and a perfect location. The ranch is close to Big Sky Ski Resort and the Moonlight Basin ski terrain, for those seeking more cross-country trails or Alpine skiing and it’s not far from Yellowstone National Park, should you want to do some exploring. Mt. Van Hoevenberg—Lake Placid, N.Y.
Home to the 1980 Winter Olympics, Lake Placid is still a major winter sports haven 35 years later. The area offers more than 100 miles of cross-country trails, in addition to rentals and lessons. Perhaps the best spot of all is Mt. 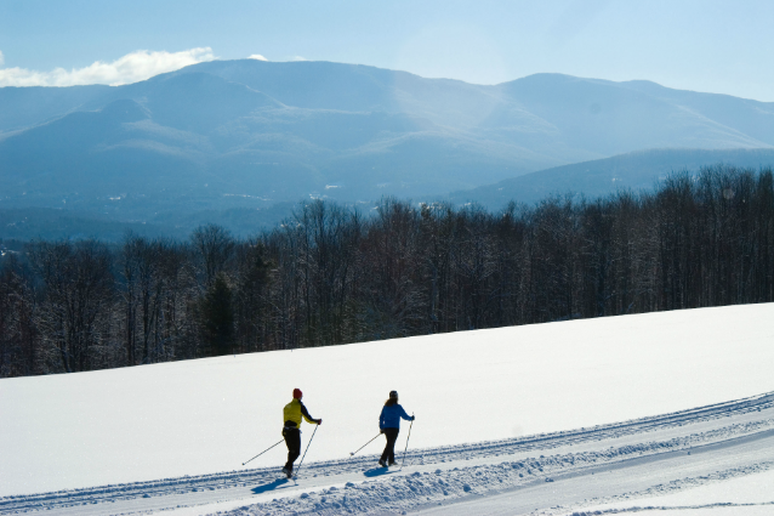 Van Hoevenberg, where the expertly groomed trails guide Nordic skiers over pristine Adirondack terrain. 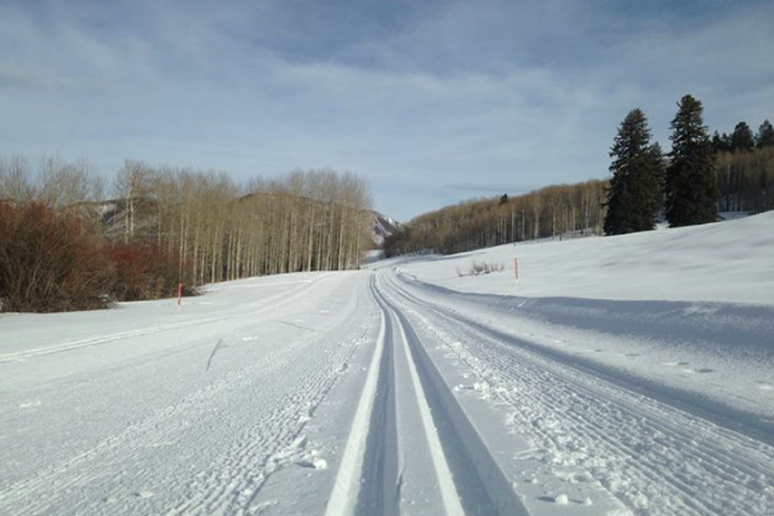 The perfect spot for rugged and experienced cross-country skiers, Jackson Fork Ranch is a natural gem set on 1,300 acres. They don’t groom much of their trails, so beginners might have a tough time but the spectacular wildlife makes up for the tougher treks. 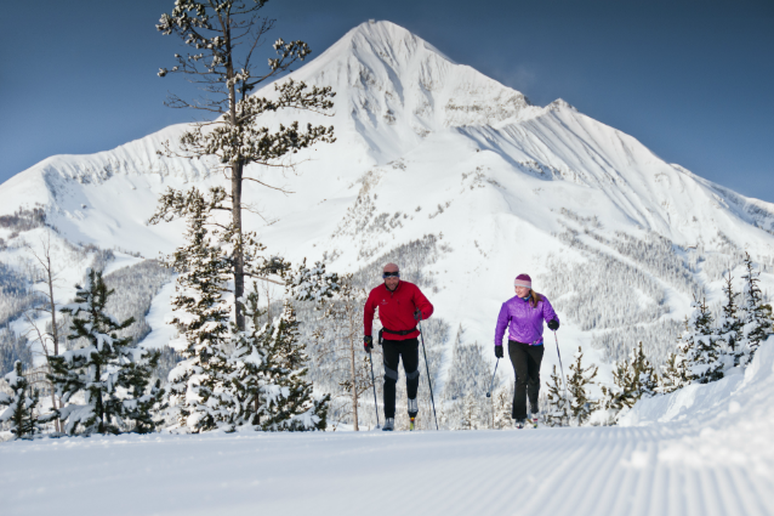 Moose, elk and eagles roam the ranch and the surrounding public lands, which visitors can also explore on skis. Michigan Tech Trails and Recreational Forest—Houghton, Mich. 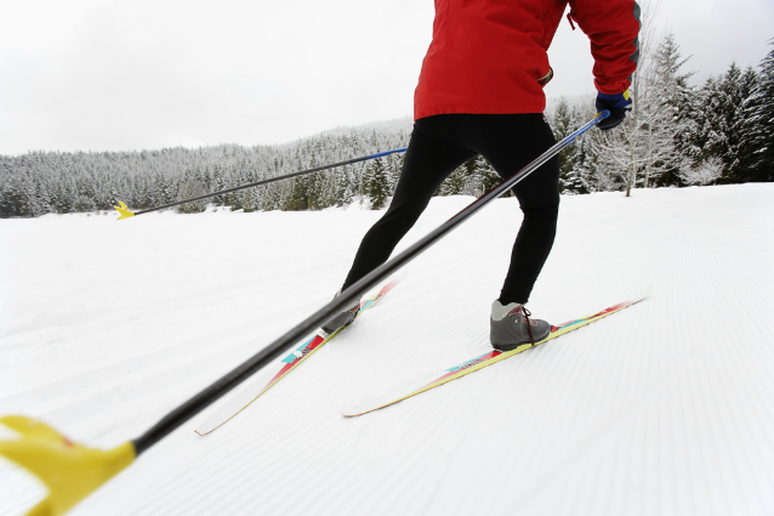 Ski the site that will host the 2015 U.S. Nordic Ski Championships and put your skills to the test. The trail system that gets almost 250 inches of snow annually is also one of the most highly regareded in the country for quality, grooming and variety of terrain. 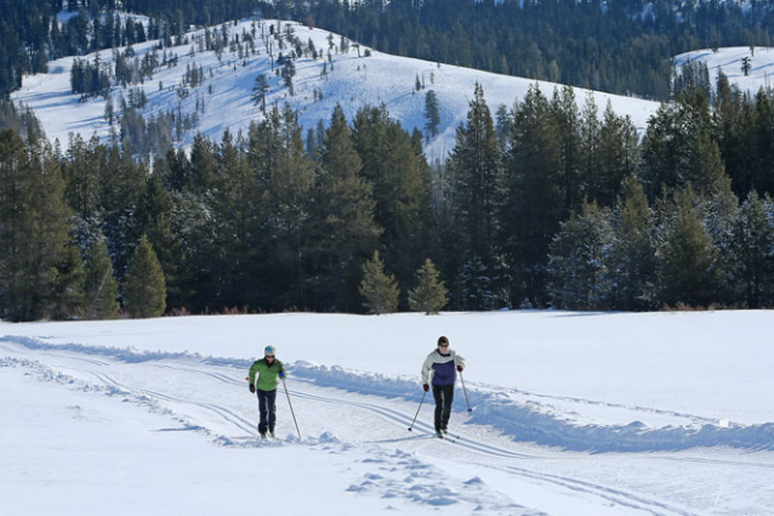 The country’s largest cross-country ski area is a big draw for beginners and experts alike, due to their variety of trails. 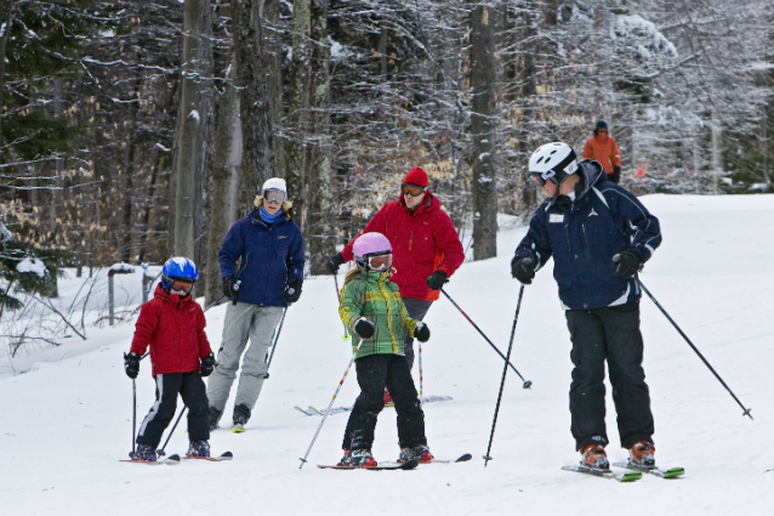 The 120-mile-long trail system offers options to suit any skill level and kids 17 and under ski free. If you’re hoping to bring a four-legged friend along, 35 miles of trails are pet friendly, as are three of the Rendezvous Huts, available for overnight stays. 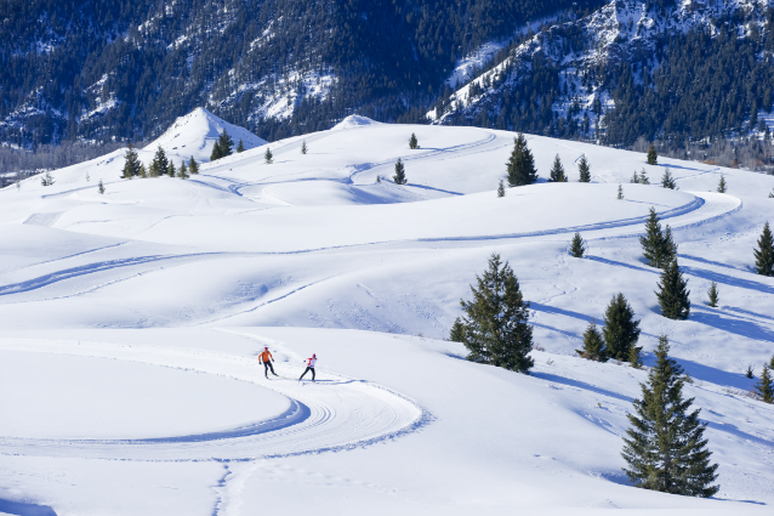 Aspen Snowmass Nordic Trail System—Aspen, Snowmass and Basalt, Colo.
We’re all familiar with this winter hub that sees tons of snow each year, but did you know there are some great cross-country trails that also happen to be free? That’s right, 60 miles of trails, ranging from beginner to expert—some are even dog friendly—connect Aspen, Snowmass and Basalt. #10 Royal Gorge—Soda Springs, Calif.